When skin health is mentioned, health experts usually mean the anti-aging effects of a nutrient, like lutein. Lutein is known as a powerful anti-aging catalyst and particularly how it promotes skin health. Medical News Today says lutein specifically helps improve the skin’s elasticity and hydration. Its antioxidant activity can powerful aid in the prevention of skin oxidative damage. Oxidative damage happens when stress and wear and tear begin to take toll on the skin. Moreover, lutein also aids in protecting oils, lipids, and fats found in the human skin, specifically protecting it from peroxidation. The most common way of supplementing on lutein is taking natural food supplements like purple corn supplements, though lutein can also be applied as an ointment or cream on the skin topically. Many experts maintain that lutein protects the skin from the sun’s UV rays as well as from pollutants found in water and in the air. Purple corn is rich in natural lutein, making it a good supplement for maintaining skin health and rejuvenation. Particularly, it is good for the prevention of skin wrinkles and dryness which are two of the most decisive factors why people look older or younger than they should. Once wrinkles and dryness set in, the skin begins to lose its luster, smoothness, and youthful look. Wrinkles and dryness are often the result of too much exposure to the sun, heat, or pollutants that damage skin quality. However, lack of enough healthy amount of sunlight can also sometimes result to dryness and wrinkles. Thus, to balance between the two–lack of and too much sunlight–taking natural supplements like purple corn supplements is highly recommended. 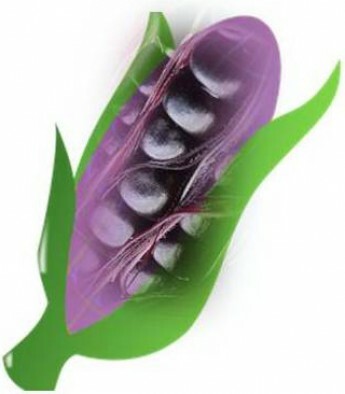 Purple corn in Peru is often grown on mountains from 10,000 to 15,000 feet above sea level, exposed to both extremes of too cold a weather condition or too hot. Anthocyanin in the corn, however, protects it from such extreme weather conditions. And the corn supplements can do the same to your skin.